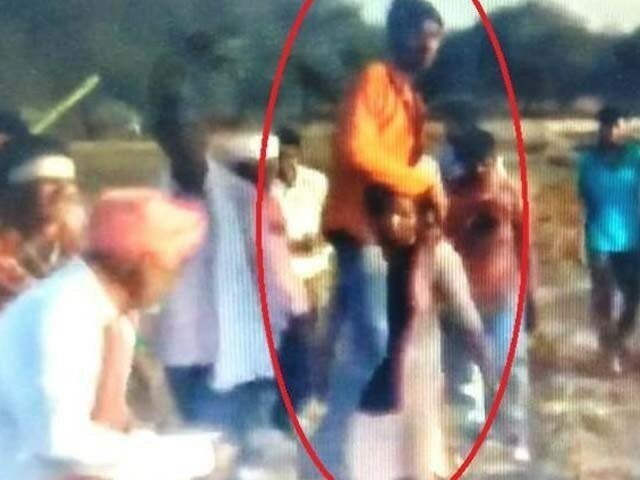 An Indian woman was forced to carry her lover on shoulders while being verbally assaulted by a crowd for choosing someone outside her caste in a village Madhya Pradesh. According to News Nation, the crowd can be seen jeering, whistling, clapping and mocking her in a video that went viral on social media. This all-male mob was captured on camera for verbally harassing a woman in Jhabua town. Following the social media backlash, local police arrested two men involved in the incident. The woman, believed to be in her 20s, is seen huffing and puffing as she carries her husband on her shoulders in the video. The villagers continue to mock her and the moment she stops to catch her breath, they hurl abuses at her. India was also declared the most dangerous country in the world for cultural traditions that impact women, the survey found, citing acid attacks, female genital mutilation, child marriage and physical abuse. India was the fourth most dangerous country for women in the same survey seven years ago. A CNN report had said that despite tough laws in post-2012 gangrape scenario, around 100 sexual assaults are reported to police in the country every day, according to the National Crime Records Bureau, with nearly 39,000 alleged attacks reported in 2016, an increase of 12% from the previous year.